I am no competitive cyclist, but I would like to recommend Torrenti Cycles for all of your bicycle tune-up and repair needs. Owner, Danielle Castelli, was quick and attentive to my online request for service. I requested help with surprising my husband with a bike tune-up as a birthday gift. 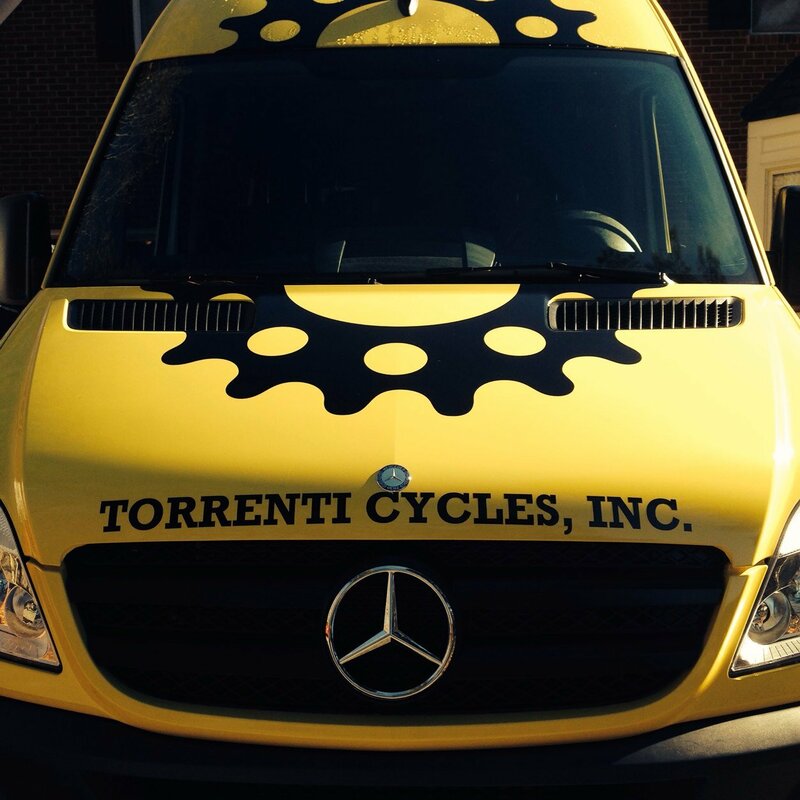 I couldn’t miss her as she drove up in her very cool Torrenti Cycle big yellow van! Yes, that’s right, she will come pick up your bike, repair it, and bring it back to you, all for a very competitive fair price. She will also fix on site if you prefer! I was very pleased with Torrenti Cycles professionalism and promptness. And I wanted to make sure Wake County knows she is out there. Whether you ride for fun or competitively, I believe Torrenti Cycles can be a great asset for peace of mind on the road or on the trail.